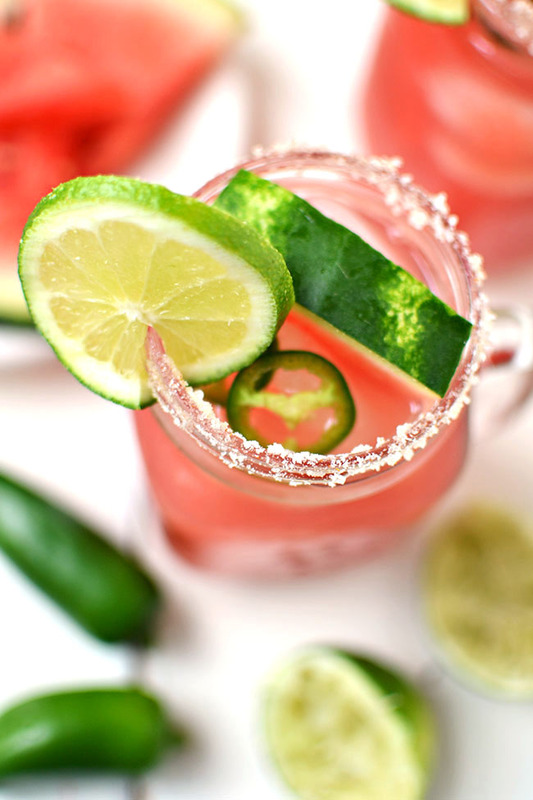 The Mademoiselle In Me: spicy watermelon margaritas for cinco de mayo! 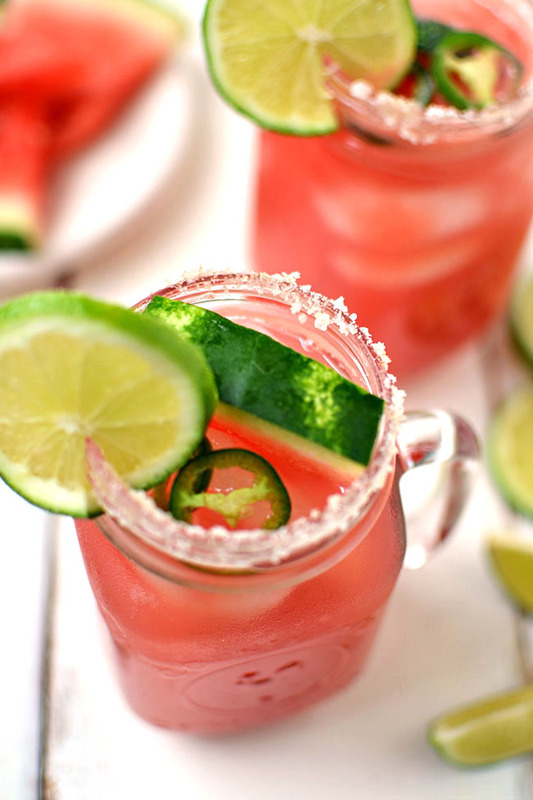 spicy watermelon margaritas for cinco de mayo! I've always wanted to throw a Cinco de Mayo party and this year I can happily say my roommates and I are throwing a Mexican fiesta tonight! 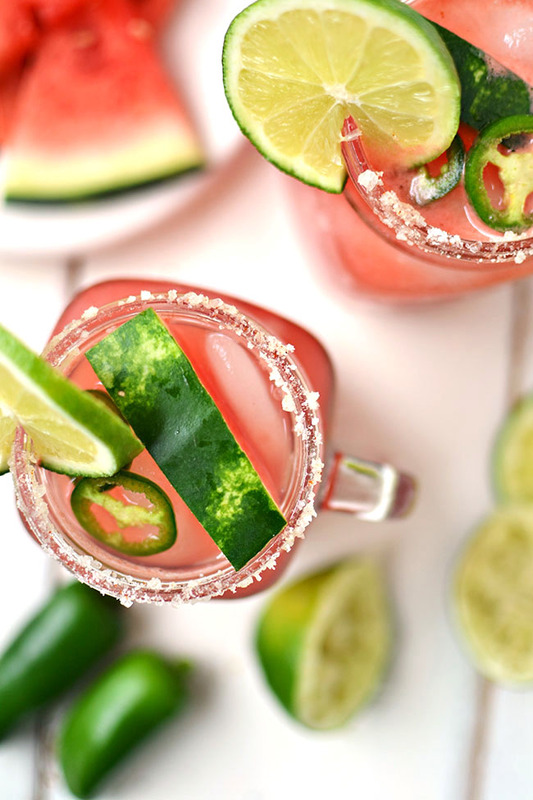 No such festivities are complete without margaritas and so I thought I'd try my hands at something a little less traditional, watermelon margaritas with jalapeño infused tequila. I should tell you that in my early university years I worked at a little Mexican joint in Vancouver and so have had my fair share of margarita making (and drinking). I think they'd be pretty impressed with these. They're spicy, sweet and salty all at the same time! And the best part? 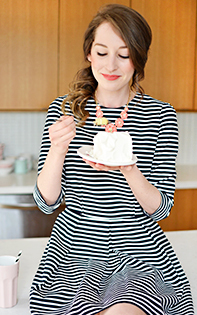 Eating the margarita soaked watermelon wedge. 1. Place half of the jalapeño peppers and the tequila into a glass. Let sit in the fridge for an hour (or more if you want it extra spicy). 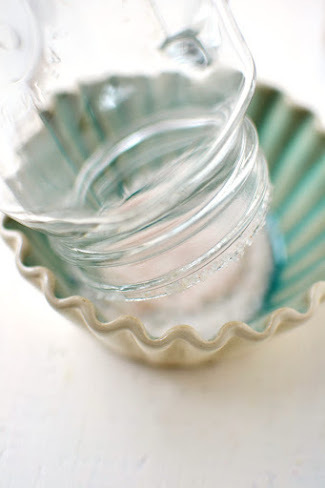 Once infused, remove peppers. 2. 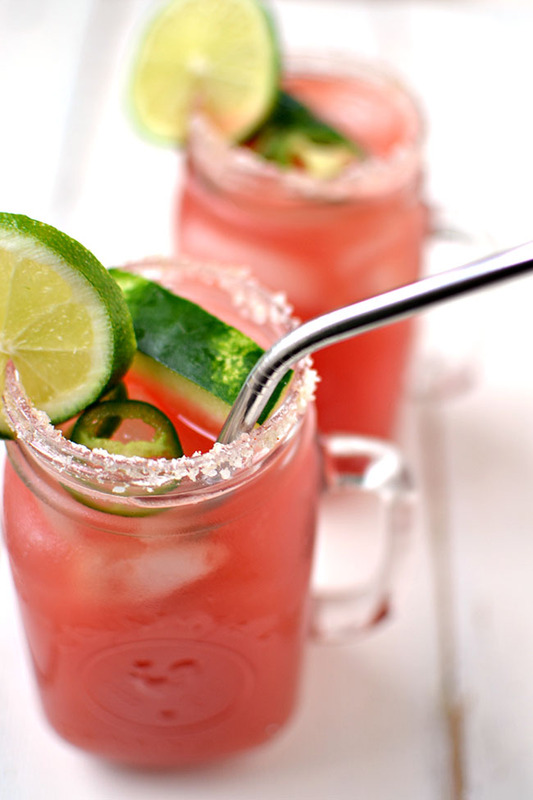 In a pitcher add the tequila, lime juice, watermelon juice, simple syrup and orange liqueur. Stir. 3. In a dish, combine salt with a generous pinch of cayenne pepper. 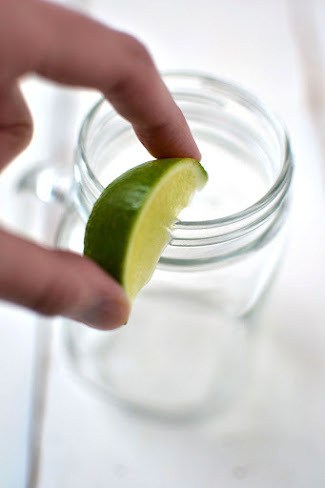 To rim the glasses, run a lime wedge along the rim and then dip into the salt. 4. 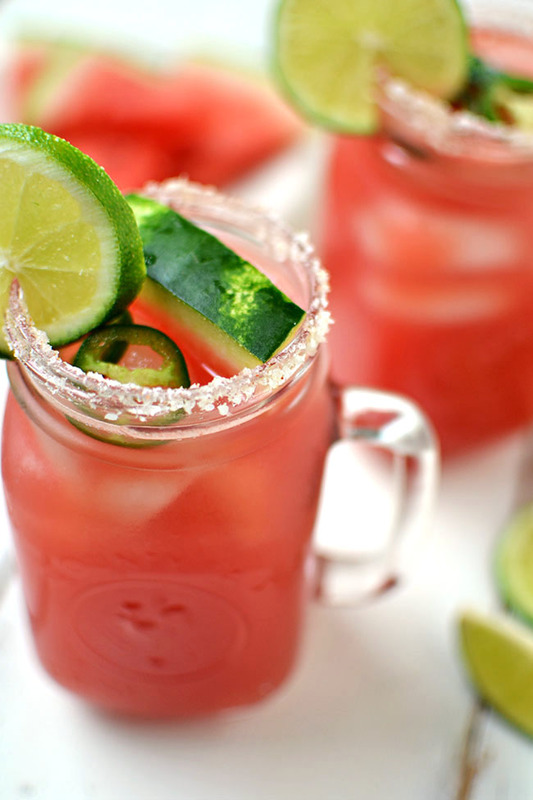 Fill each glass with ice and pour in the margarita. 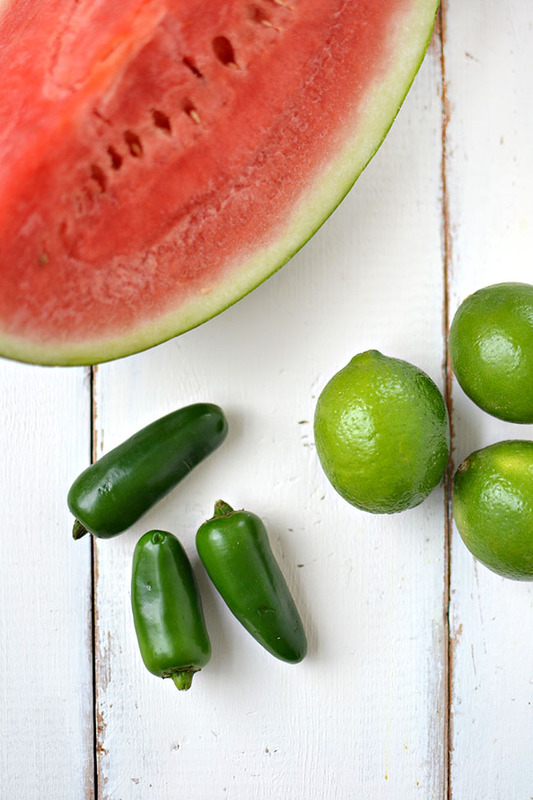 Garnish with limes, watermelon and remaining jalapeño peppers.